I think when it comes to lip products Revlon can do no wrong so when I saw they were bringing out their own range of matte chubby lip crayons I jumped right to my nearest Revlon stand for a looksy. I'm a massive fan of Revlons lip butters and lip glosses and always hate them for bringing out so many shades because I can never decide which one to go for. I was tempted to go for the orange shade 'Mischievous' but my friend encouraged me to go with this one 'Showy Flamboyante'. Which I suppose is that little bit more wearable. 'Showy Flamboyante' is this gorgeous bright, bold bubblegum pink which just screams Barbie to me. You may think it's a little too in your face but its actually just the right amount of pink. Although it's a matte balm the product is that little bit creamier than other matte lipsticks i've tried which I really like because my lips dry out easily so having that extra bit of moisture stops my lips looking cakey. As this product is a balm it doesn't have much staying power. You do have to reapply pretty often - every 2 hours - if you want it to look just right because it is transferable. I did expect it to last a little bit longer than that though. I was also really surprised that this had a minty taste to it? I would have expected a sweet strawberry scent or anything other than mint really. I also love Revlons attention to detail when it comes to their packaging. The matte balms all come in a lovely matte finish tube in the shade of the lip product. 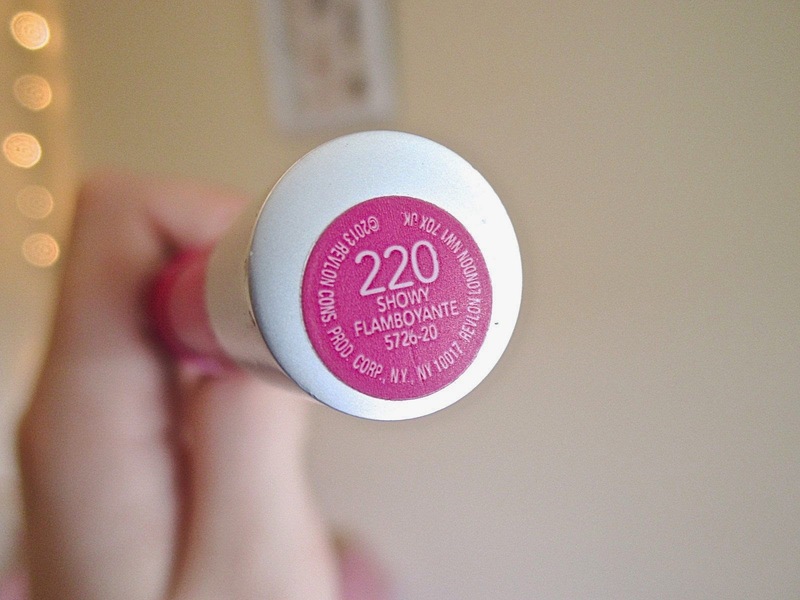 Makes it much easier to find your favourite shade if you have a few of these. 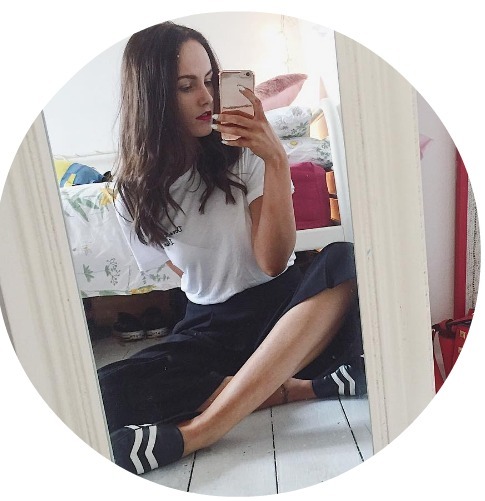 I'm all about that simplicity when it comes to rummaging through my make up drawer. 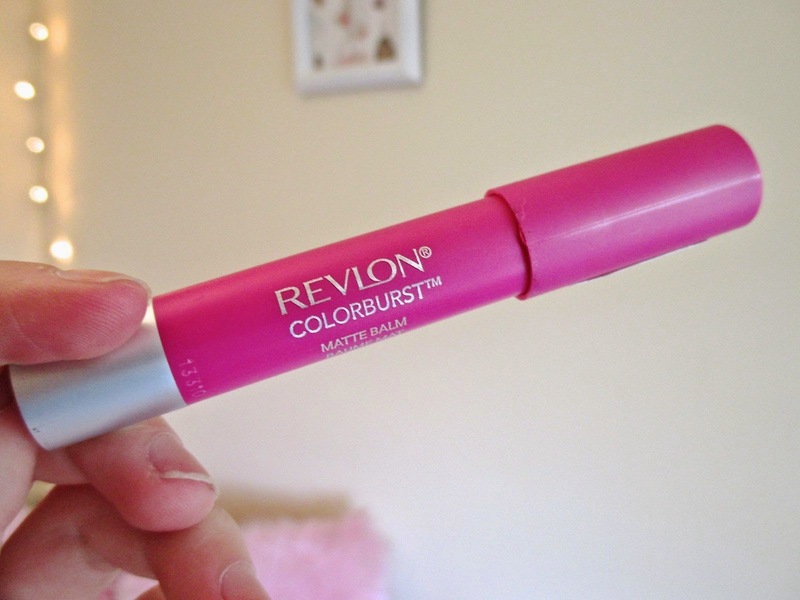 Overall I really like this Colorburst matte balm. With the exception of longevity it ticks all the boxes of what I look for in a lip product - easy to apply, bright, bold shade and not too expensive. I love these balms, this shade looks so pretty!